While many travelers may equate vacation with the spring and summer months, there is something extremely unique and magical about winter getaways. 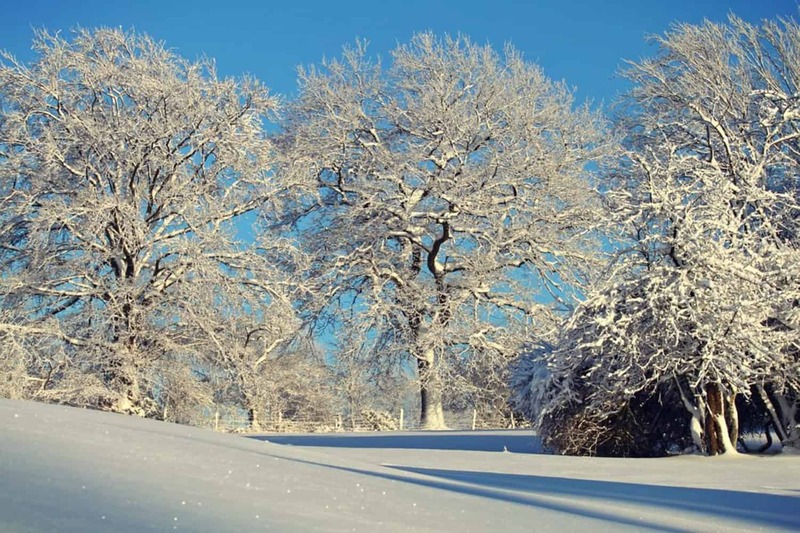 Here are three reasons why you should plan your getaway at Cherry Ridge Retreat this winter! Let it Snow – There is nothing like the quiet beauty of a fresh snowfall when everything outside is covered under a blanket of glistening white powder. You bundle up, head outside, and experience the crisp, fresh air, and peaceful, muted sounds that only wintertime provides. And our 140+ acres offer the perfect backdrop for such a breathtaking sight. Enjoy the snow up close from our miles of groomed trails or relish the views from inside one of our luxurious cabins. Warm Fires – Who doesn’t love to bask in the warmth of flickering flames while the winter wind blows outside? Winter is the perfect time to curl up in front of the fireplace with a good book, a glass of wine or a steaming cup of hot cocoa. And all our cabins feature either a gas-log or wood-burning fireplace to enjoy during your stay. You can even brave the cold by bundling up and staying warm in front of one of our outside fire pits. Save Money – Most places offer discounted rates during the less traveled winter months and Cherry Ridge Retreat is no different. Book your stay with us and take advantage of our specials and off-season rates for all our five-star accommodations! We’ve highlighted just three reasons to plan your winter escape. However, there are many more. Contact us today so we can help you plan your winter getaway to our winter wonderland!